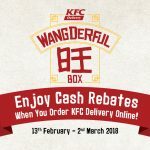 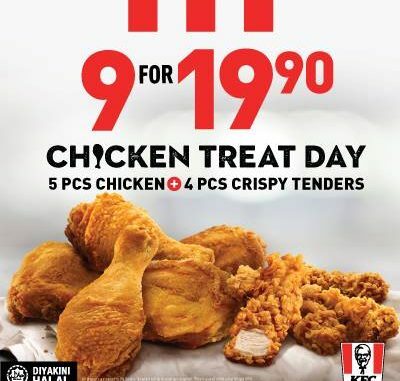 KFC is having The Chicken Treat Day promotion! 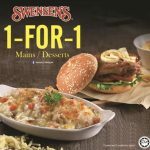 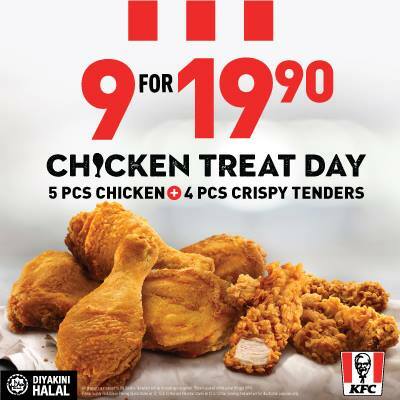 9pc chicken (5pcs chicken + 4pcs crispy tenders) at ONLY RM19.90! 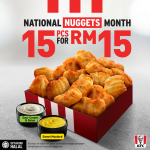 It is valid only at KFC outlets located at P. Pinang (Island) from 12 November – 14 November, and Kelantan from 13 November – 14 November. 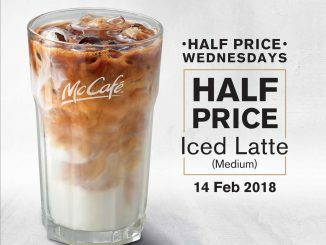 The offer will be available (from 11am onwards) Terms and conditions apply! 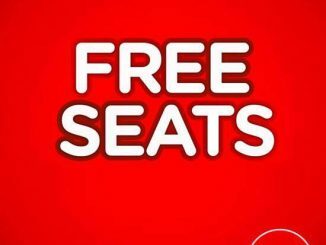 Uniqlo Value Buy Items As Low As RM9.90! 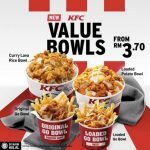 Watsons Malaysia 12.12 Online Sale!-Watsons 12.12独家优惠!